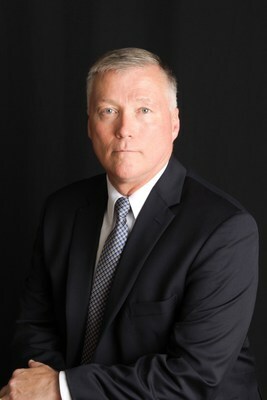 MCLEAN, Va., Feb. 7, 2019 /PRNewswire/ -- E3/Sentinel, a NewSpring Holdings platform company, announces the appointment of Lieutenant General (Retired) J. Kevin McLaughlin, former Deputy Commander of U.S. Cyber Command, to its Board of Directors. General McLaughlin's distinguished career spanned multiple joint and Air Force operational, cyber, and space Commands that included the 24th Air Force (Cyber Operations) over more than three decades. General McLaughlin graduated from the U.S. Air Force Academy and entered the Air Force in 1983. Prior to his September 2017 retirement, General McLaughlin's last active duty assignment was as the Deputy Commander of Cyber Command, during which he directed 12,000 personnel and managed a $525M budget to defend the nation's largest information network, to provide cyberspace options to commanders, and to protect critical U.S. infrastructure from cyber-attacks. He is also the current Director for Cyber Policy, Strategy and Security at The George Bush School of Government and Public Service at Texas A&M University. NewSpring Holdings Principal Lee Garber said, "We are honored to have General McLaughlin join us at such a pivotal time in E3/Sentinel's evolution and growth. General McLaughlin's career-focus on developing leaders, combined with his passion for innovative solutions, promises to make E3/Sentinel even more effective for customers, adding tremendous value." General McLaughlin added, "I am excited to be a part of this team. I appreciate Andy Maner's vision for the platform, as one centered on the deep skills of E3/Sentinel's experienced colleagues as they support the missions of their customers. I look forward to providing my insights, experiences, and perspectives to the board and helping to drive growth for the company." Andy Maner, CEO of E3/Sentinel, stated, "General McLaughlin's leadership and development experience will be extremely valuable to our Board of Directors. We look forward to learning from his acute understanding of technology, space, cyber, and other domains for the warfighter as we continue to innovate on our skills, processes, and technology for our customers." About E3/Sentinel: E3/Sentinel, a NewSpring Holdings company, is a mission-focused services and solutions company headquartered in McLean, VA. Since E3 Federal Solutions and The Sentinel Company combined forces in 2018, E3/Sentinel works as a combined entity to draw upon their long histories of consistent growth and high performance in the federal services market. The company's services and solutions are designed, tailored, and executed based on the experience both organizations bring from helping their Homeland Security, Defense, Intelligence, and Federal Civilian customers solve complex problems.